Hi, everyone! Just wanted to post a quick update. This weekend (August 28-30th) I’m going to be in Lexington, Kentucky for Kentokyocon. This will be my first time going to Kentucky, so I’m excited to see the area ^o^ If you’re around, please come by and visit! **Since I’m traveling farther this time I’m taking limited stock, but everything will still be available on my store of course! 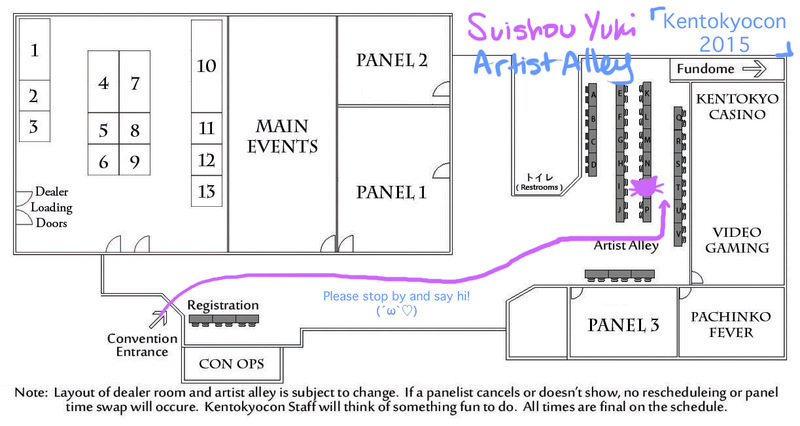 **Also, next month I’m going to be in the Artist Alley at Anime Weekend Atlanta! (September 24-27) Please stop by if you can!! Patreon and Zazzle Store Launch!